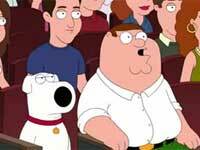 Peter complains about how opening credits can confuse you at the movie theater. Submitted by monkey on Fri, 05/20/2011 - 1:19am. 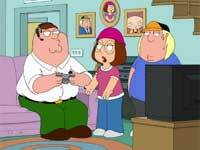 Funny Family Guy clip of Peter getting dominated in Modern Warfare 2. Submitted by monkey on Mon, 04/12/2010 - 8:56pm. 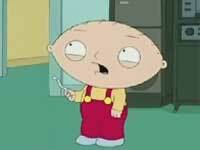 Family Guy does a parody of the television show Lost. Submitted by monkey on Thu, 03/04/2010 - 2:32pm. 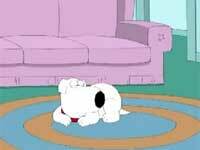 Brian on Family Guy farts in his sleep and wakes up. Submitted by monkey on Fri, 08/14/2009 - 9:51am. 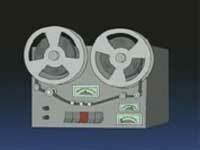 Funny video of Hannity and Colmes from Fox News on Family Guy. Submitted by monkey on Thu, 03/05/2009 - 2:49am. Christian Bale completely flips out on Peter for messing up the set. Hilarious. Submitted by monkey on Tue, 02/17/2009 - 2:07am. 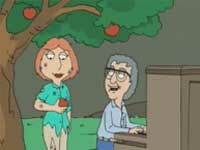 Family Guy makes fun of Randy Newman while Lois is eating an apple. Submitted by monkey on Mon, 10/27/2008 - 1:37am. 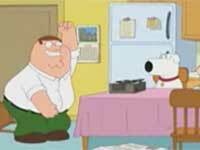 Hilarious new Family Guy clip with Peter singing Sufing Bird. Have you not heard? That the bird is the word. Submitted by monkey on Thu, 10/16/2008 - 12:13am. 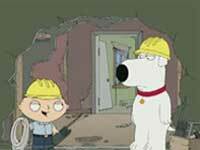 Stewie and Brian are trying to do some electrical work but Brian keeps forgetting how to use the radios. Submitted by monkey on Fri, 09/12/2008 - 1:36am. 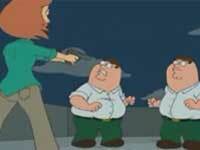 Some of the best editing i have ever seen, The Matrix trailer put together by pieces of The Family Guy. Submitted by monkey on Thu, 05/08/2008 - 3:31am.